Nintendo is finally bringing its famous mascot to mobile, with Super Mario Run landing on iOS in December. The good news is it’s free to try. The bad news is it’s expensive to buy. At the beginning of September, Nintendo announced that Mario was finally getting his own mobile game. This would be an endless runner, and it would debut on iPhone and iPad. Which is why Shigeru Miyamoto announced the game at the same event as Apple unveiled the iPhone 7 Apple Launches New iPhone 7 With No Headphone Jack... [Tech News Digest] Apple Launches New iPhone 7 With No Headphone Jack... [Tech News Digest] In case you've been living under a rock, we have a brief rundown of the latest Apple event during which Apple showcased the iPhone 7, the Apple Watch 2, and Super Mario Run for iOS. Read More . Super Mario Run will land on iOS on December 15th. It will be available to download for free, and you’ll be able to try all three game modes without paying a penny. These modes being World Tour, Toad Rally, and Kingdom Builder. However, the free elements will only be a small part of the whole game, which will require an in-app purchase of $9.99 to unlock. This may not seem like much money in the big scheme of things, but it’s rather expensive for a mobile game. Nintendo clearly thinks Super Mario Run is well worth $9.99. Or is at least confident that the Super Mario brand The Origins & History Of Mario [Geek History Lessons] The Origins & History Of Mario [Geek History Lessons] An Italian plumber created by a Japanese artist somehow became one of the most recognizable characters on earth. 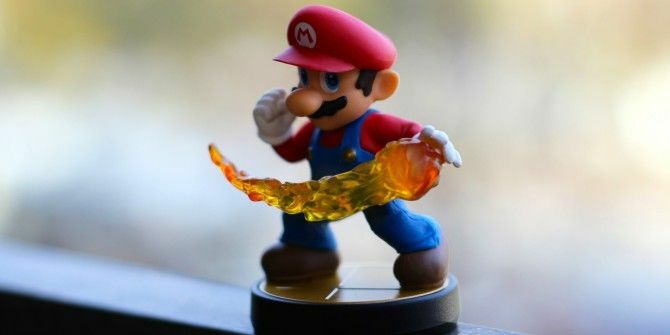 Featured in over 100 games, it's hard to imagine Nintendo or even video games without this mustachioed... Read More retains enough cachet that people won’t begrudge paying the asking price. Nintendo should also be applauded for keeping things simple with a one-time fee, when so many other mobile games tempt players in before hitting them with a whole roster of in-app purchases What Are In-App Purchases & How Can I Disable Them? [MakeUseOf Explains] What Are In-App Purchases & How Can I Disable Them? [MakeUseOf Explains] "I can’t believe it!" my cousin said to me the other day, "someone’s just bought a $10 in-app purchase on my mother’s phone, and she doesn’t even know what I’m talking about!". Sounds familiar? How... Read More . Super Mario Run will initially work on iPhone, iPad, and iPod touch devices running iOS 8.0 or later. The game supports multiple languages, and will launch simultaneously in 151 countries on December 15th. Are you looking forward to playing Super Mario Run? Will you be sticking to the free version or buying the full game? Do you think $9.99 is a fair asking price? Will Nintendo regret its decision to release mobile games? Please let us know in the comments below! Explore more about: iOS, Mobile Gaming, Nintendo. I wonder when it'll be available for Android. I don't want to buy those overpriced Apple smartphones.